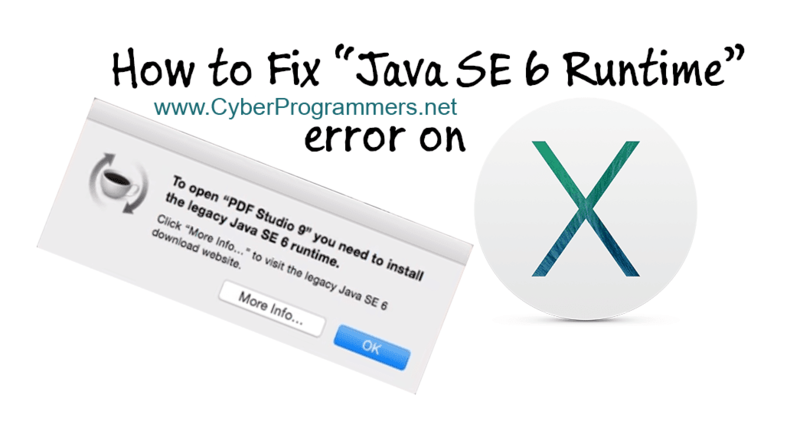 Mac users may see the "Java SE 6 Runtime" warning window when trying to install or open some apps. When I tried to install PhpStorm on Mac after trying it on Windows, I got that kind of problem. Can't open the program, which show me warn message. Today I will show you how to solve that issue on your Mac OS X operating system. 1) First of all open this link on your Mac using any browser except Safari. 2) Now press on blue "Download" button. 3) After the file downloaded, open it to start the installation. 4) Now you need to do a simple installation. After installation is complete, open that program which gives you an error before, for me it is PhpStorm. And you can see that program is opening without any problem.